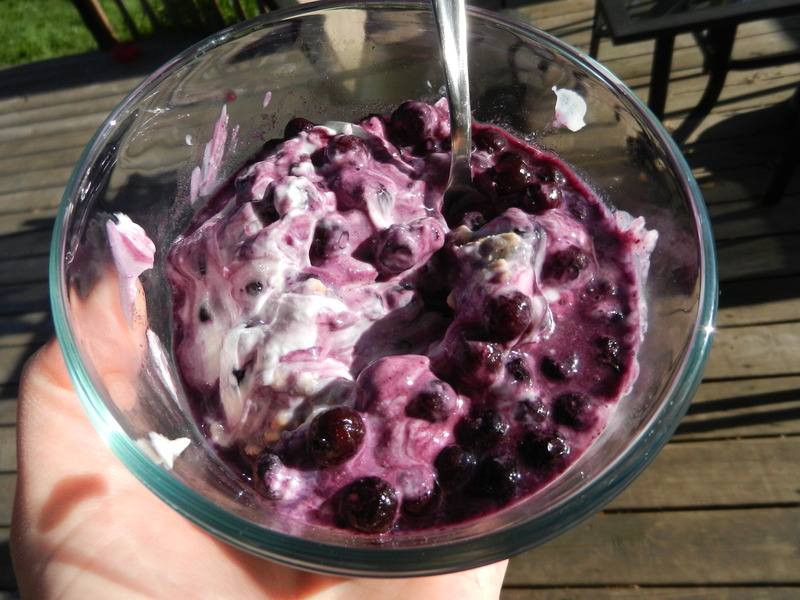 Breakfast yesterday was an ol’ fav: Blueberry Overnight Chia Seed Yogurt Bowl. I snapped this photo out on our deck and wish I could have enjoyed it out there because it was oh so gorgeous, but unfortunately I had to eat it while doing my makeup. Always a super classy way to eat breakfast. It was super creamy and wonderful as always. That was as much fiber as I could handle for the day. My body has been going through a bit of distress lately and my stomach has been pretty sour. I have some intestinal issues that I’ve been dealing with since I was young. Over the next few days, I am going to do my best to eat low residue foods, lower fiber foods, and limit the “roughage” types of foods. This means limiting my salads, raw veggies, blackberries, beans, and basically all of the foods I love and eat on a daily basis. But it’s only temporary. I did a good job at lunch with sticking to the food plan. I forgot to take photos but will use a recycled photo. 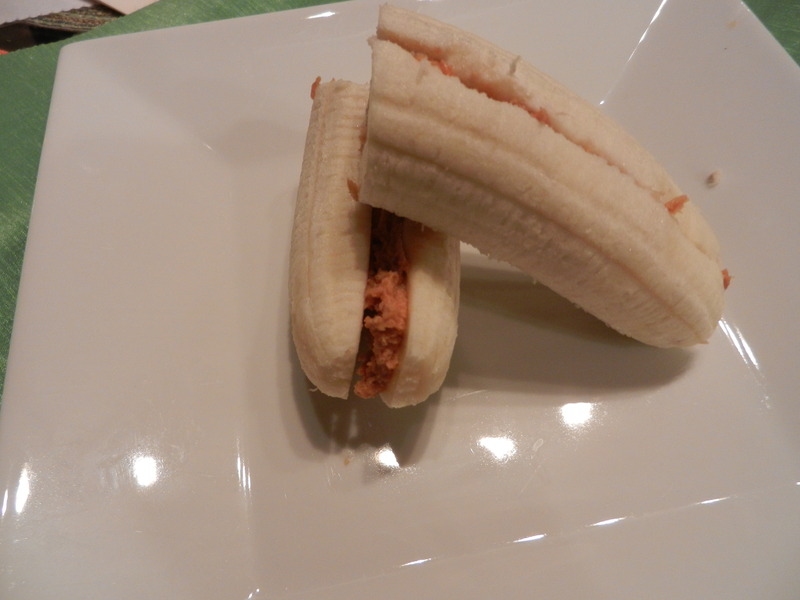 The only difference is my pb banana was much more rustic today. I did the scoop and spread on the nanner today. I also ate an apple minus the peel, and some leftover birthday cake. Whoopsie. It is low fiber afterall, so it sat okay in my belly. It just wasn’t the healthiest choice. After work I headed to the gym. I’m surprised I remembered where the gym was because it’s been so long since I’ve been there. Actually come to think of it, it hasn’t been that long, but I am noticing it has been less than normal lately because I have been amping up the outdoor running. Yay! I warmed up for 10 minutes on the elliptical before hitting the weights to work on leg strength. I finished up with some core work on the Bosu ball. 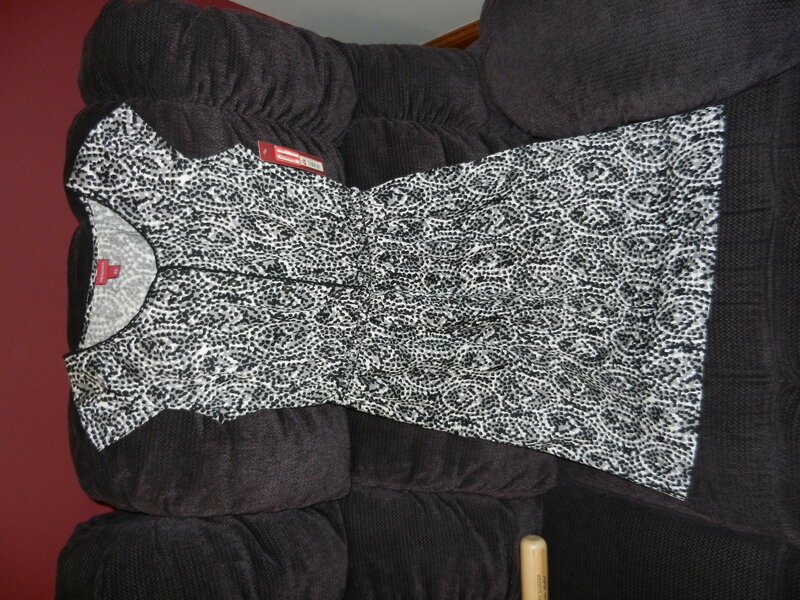 I stopped at Target on the way home to pick up a couple of sweet potatoes for dinner, and just so happened to stumble upon the clearance rack in the women’s clothing section, and found this adorable dress for just $7.48! Are you serious? I L.O.V.E. bargain shopping. Now let’s hope it fits. I love bargain shopping, but loathe the fitting room. I would rather bring it home, try it on, and bring it back to the store, than go into the fitting room. It’s one of my weird quirks. For dinner I made homemade sweet potato fries. I washed the sweet potato, poked it all over with a fork, and cooked it first in the microwave: 5 minutes, then flipped them over and another 5 minutes. I cooked two at a time because I wanted leftovers which made for a longer cooking time. 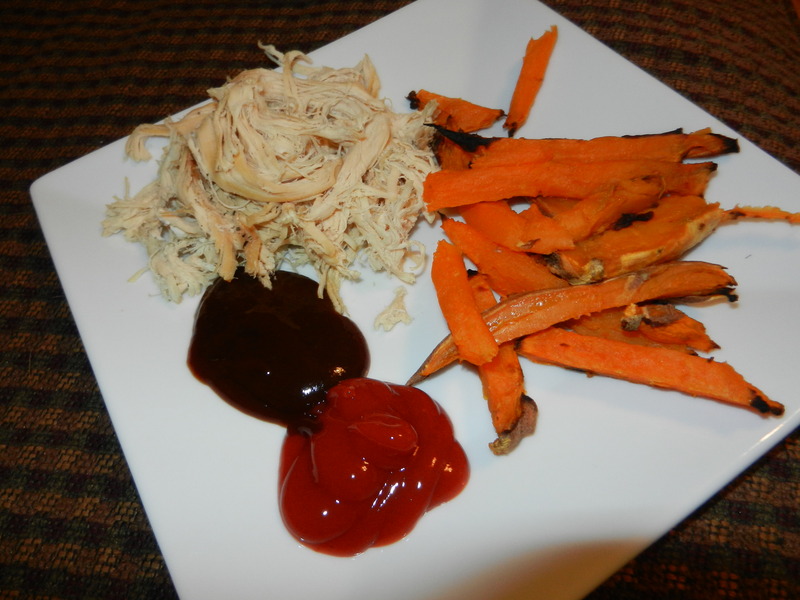 I then cut the sweet potato into fry size and baked in a 350° oven for about 10 minutes, then realizing the fries were already cooked from the microwave, I switched the oven to broil and let them crisp which was my intention of the oven in the first place. They didn’t get super crispy like I like them, but they were still real tasty. But I have a confession. This whole staying away from “roughage” type foods is really difficult for me. I’m like a magnet to a fridge when it comes to my greens. 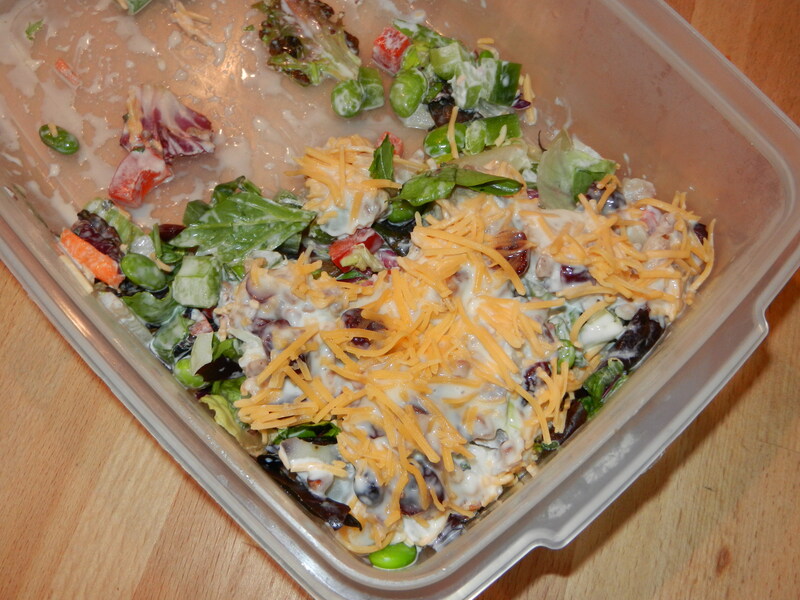 So….I got into the leftover veggie salad from our get together with Dana’s family yesterday. Not a lot, just a couple of bites, and it was good. Oh, so good. I realized I missed a bunch of the ingredients from the salad when I mentioned it the other day. Let’s see if I can get it this time: Mixed greens, edamame (mukimame), celery, bell peppers, water chestnuts, banana, bacon bits, some type of mayo mixture, and shredded cheddar cheese. I couldn’t resist. My whole fridge is packed with things that I should really avoid right now including a brand new container of Costco-sized mixed greens with spinach, sugar snap peas, broccoli, fresh berries, and more. Let’s hope this is short-lived. I do feel better today. I think my body may have been a little shocked from the activity this past weekend and may just need to recover. Anyway, I am off for now. I plan to get a little run in today after I make some dollahhhs. Happy day! 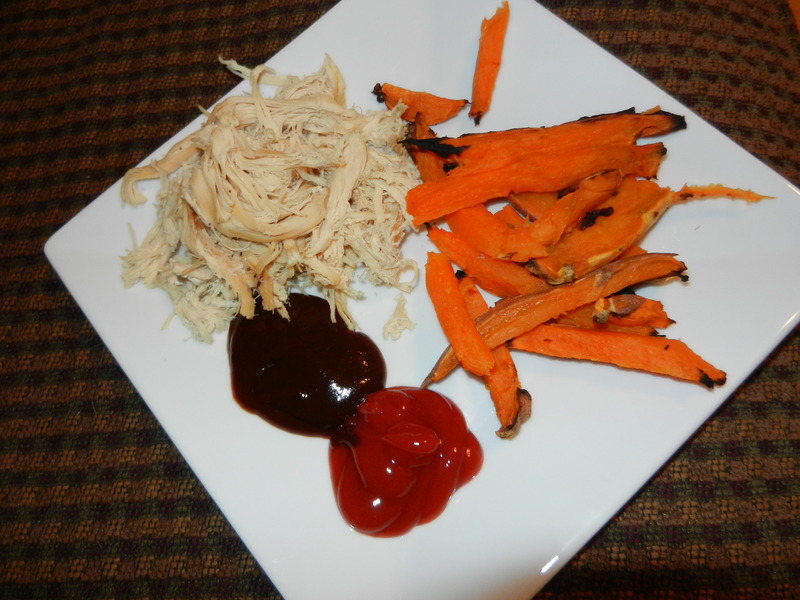 This entry was posted in Breakfast, Dinners, Workouts and tagged Cake, crockpot, FAGE, peanut butter by Melanie. Bookmark the permalink.